More kids in the United States play youth t ball than any other sport. It is a fun way to introduce our children to team sports. Tee ball has allowed millions of kids to start playing this brand of baseball before they ever attend school, Back in the day of only kid pitch, baseball didn’t start until a child was 7 or 8. Now, some t ball league allow kids as young as 3 to play. Three may be a little young, but what’s the harm. The games are generally pretty laid back and the player’s safety is always top priority. I even had kids who the first game or two would not come from behind their mom’s skirt. We didn’t push them at all and eventually they would show up on the field. Most leagues allow coaches on the field to help direct traffic on the bases. If you have never seen a youth t ball game, then you are in for a real trill. When the ball is hit, kids on the bases usually forget to run. Many a time there is a big logjam at second or third base. Keeping score is not done in many leagues either. Even if there is no official scorekeeper, a few parents will still keep score. But guess what, the kids could care less. What’s more important in their mind is who brought the after game snack and drink, and what did they bring. Another reason for the popularity of youth t ball is all you need is a flat piece of ground to play on. No backstop or pitching mound is needed. All you need is a batting tee and some bases. And lots of times that is all you get. In little league baseball practice fields are hard to come by. 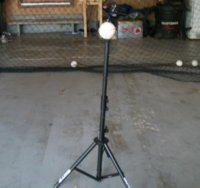 Because there is not a need for a backstop or pitching mound, t ball practice can be held on a church or school’s yard. For the t ball coach this does make life a little easier. Uniforms for each player often only consist of a cap and t shirt. Some league do require full uniform, but that is usually the 7 and 8 year old t ball teams. And those with full uniform may require cleats, where the t shirt leagues usually only wear tennis shoes. 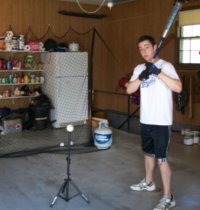 Desired equipment provided by each player is a baseball glove, a batting helmet and a bat, and probably desired in that order. 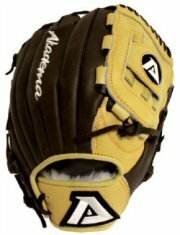 If nothing else be sure your child has a glove. Coaches may have an extra helmet or bat, but typically not any extra gloves. If you have ever thought about coaching your child, or if you haven’t given it a thought, youth t ball is a great sport to coach. Seldom do you ever run into any problems from parents with playing time or where in the batting order their child is hitting. The biggest problem I had with tee ball teams was with attendance at practices and players showing up late for games. For most of the parents of t ball players this to may be their first time involved with a child in a team sport. Parents may not understand they need to have their kids to the game fifteen or thirty minutes before the game. Or that missing practice really sets their child back as far as learning how to bat and run the bases. But these problems are things that can be handed with little trouble. Coaching youth t ball is truly a fun time. You may be hesitant, but I highly recommend giving it a try. And you may say you know nothing about t ball. That’s ok, I didn’t either when I started and even though I made some mistakes along the way, I survived. And so that you won’t make the same mistakes I did, I have written a 40 page eBook that will help you every step of the way all season long. For a small price, you can have the information at your finger tips that will answer all your questions, and questions you haven’t even thought of. This is a special opportunity to make a difference in your life and your child’s life. It is something that brings you closer together with your child and they are very proud of your efforts. 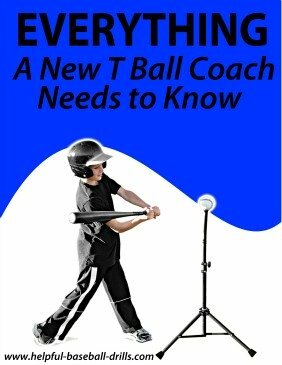 Click here to take a look at the book, Everything a New T Ball Coach Needs to Know.